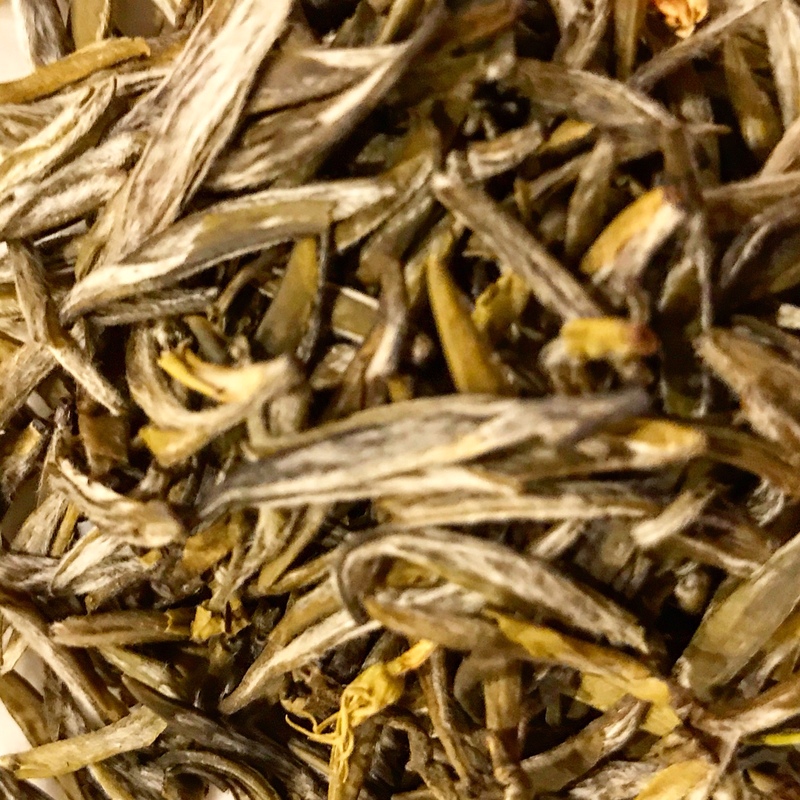 Supreme Jasmine Silver Needle is from Fujian province. The tea is picked in late March and early April. It is scented with Jasmine flowers at the beginning of August. The silver needles are delicate imparting a cashew flavor to the liqueur. 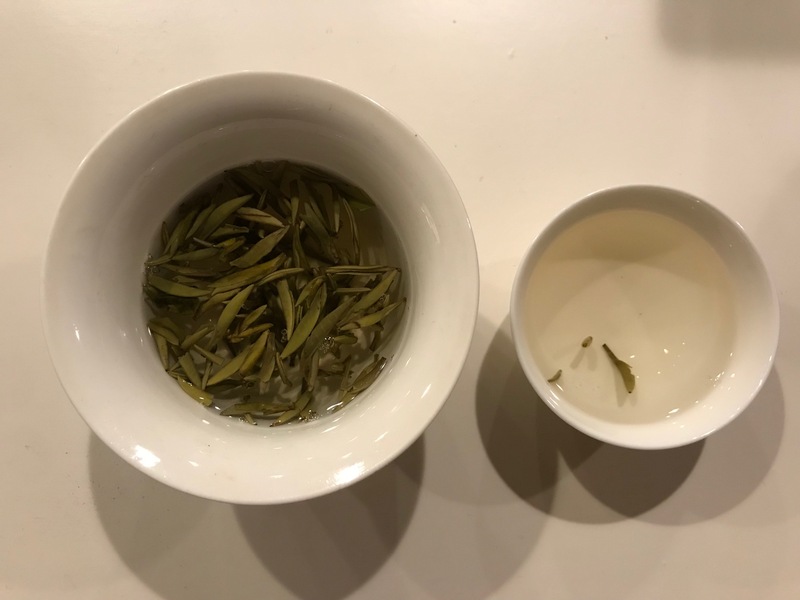 The tea leaves are scented 8 times over with layers of jasmine flowers creating an exotic natural jasmine perfume to the leaves and a rich jasmine flavor. 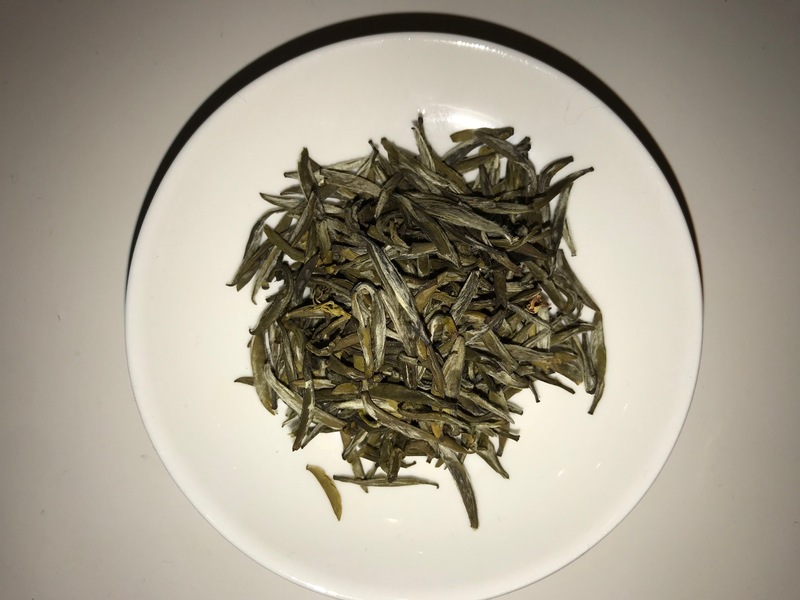 he quality of this tea allows for it to be brewed 3 to 5 times in your Gaiwan, each cup being unique and flavorful in its own character. The tea will leave you feeling refreshed an uplifted. Food pairing: light fish, vegetables, hard cheeses, fruits, and dairy based deserts with low sugar.